The paintbrush will be your magic wand for weaving colors across the canvas. 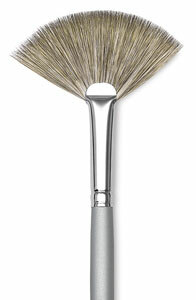 Artist paint brushes become beloved tools the more you use them! As you paint, you will become increasingly familiar with the way the brushes handle the paint and what they can accomplish for you. Pretty soon the paintbrush will become a part of you that you intuitively know how to maneuver. If you're just starting out in acrylics, it can be a bit overwhelming standing in the paintbrush aisle at the art store, with a vast sea of artist paint brushes spread out before you. The wide selection even makes me dizzy sometimes! No fear - the Art is Fun Paintbrush Guide is here! This page will tell you everything you need to know in order to select the right paintbrushes to suit your needs. Easy enough! So now that you know the lingo, let's find out what each brush is meant for! Good for: sketching, outlining, detailed work, controlled washes, filling in small areas. creates thin to thick lines - thin at the tip, becoming wider the more its pressed down.. use with thinned paint rather than thick paint. Narrower than the round paintbrush. has sharply pointed tip. Good for: fine details and lines, delicate areas, spotting and retouching. Square end, with medium to long hairs. Good for: bold strokes, washes, filling wide spaces, impasto. can use edge for fine lines, straight edges and stripes. long haired flat brushes are ideal for varnishing. Flat with edges curved inward at tip, with shortish hairs. Good for: short controlled strokes. thick, heavy color. better for working up close rather than holding the brush at a distance from the canvas. Flat and oval-shaped end with medium to long hairs. Good for: blending, soft rounded edges like flower petals. this brush is sort of a combination of the rounds (because they can be used for detail) and flat (because they can cover more space than round). good for: natural hairs are good for smoothing, blending, and feathering. synthetic hairs are better for textural effects, clouds, and leaves on trees. for acrylics, use strong and sturdy one, otherwise the hairs will clump when paint is added. Flat with angled hairs at end. Good for: curved strokes and filling corners. can reach small areas with tip. 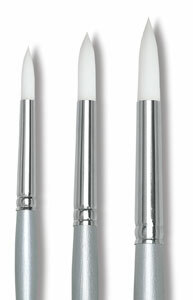 also can be used to cover lots of space, similar to flat brushes. Round, hairs shorter in length. shorter handle. Good for: details and short strokes. holds more color than you might think! 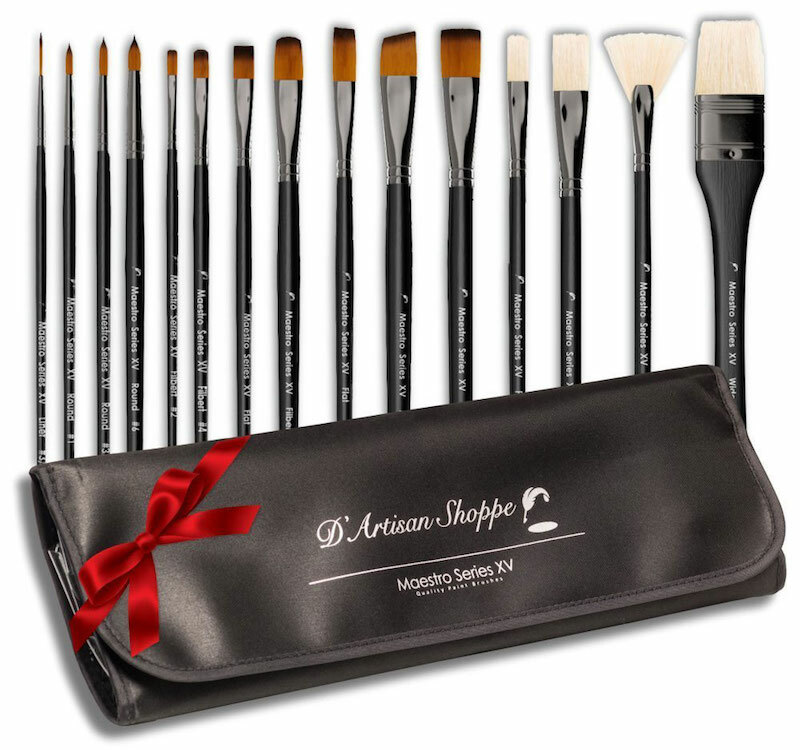 If you're a beginner it can be helpful to get all your brushes at once in a set. I'm a fan of these two sets below: the Maestro Series XV and the Minute Series XII. The Maestro Series VX brushes are a great all-around set because they include a variety of brush shapes and sizes (flat, round, filbert, etc). 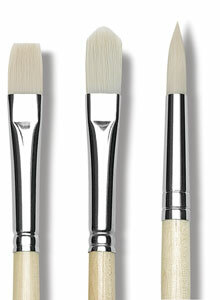 The Minute Series XII brushes are ideal for painting small details. 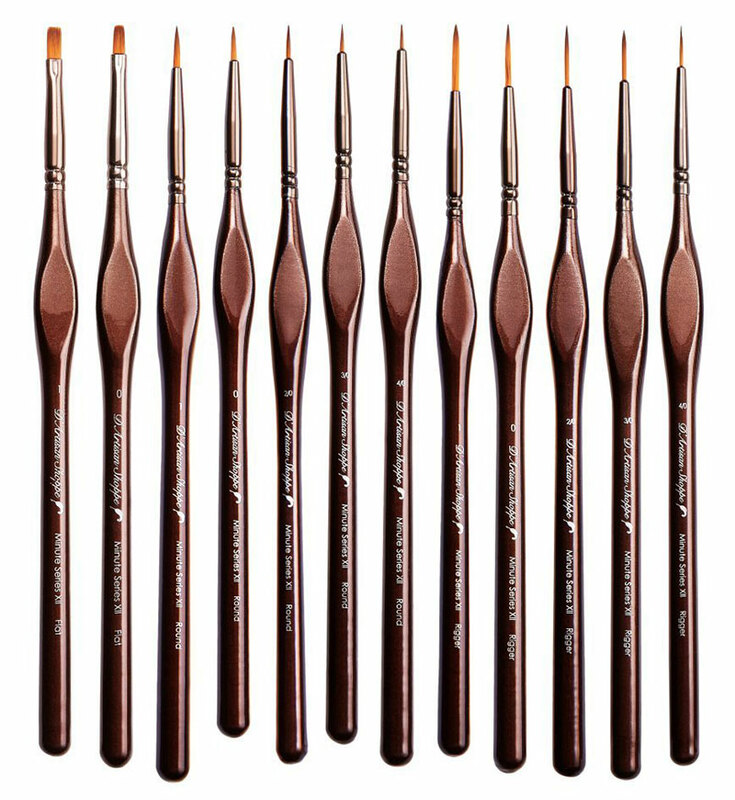 If you're just starting out I'd suggest getting the Maestro Series XV first, and then if you find that you want to paint more details, the Minute Series XII brushes would make a great addition to your collection of brushes. I've used both sets with acrylics, watercolors and gouache and am very happy with their performance. Page 1........ describes the different types of brushes for acrylics and what each paintbrush can do. Page 2........ answers all the questions that a beginning artist will have about paintbrushes. Page 3........ explains how to safely care for your paintbrushes and keep them happy. Page 4........ demonstrates the best way to clean, store and transport your paintbrushes. Find out what acrylic painting supplies you should get if you want to get started with acrylic paintings. If you're a total beginner to painting with acrylics, learn what paints are best for you! Here's an enlightening step-by-step visual guide about how to paint abstract art in acrylics. If you like colorful artwork and want to learn techniques for creating your own funky paintings, this guide is for you! Click here to return to the main Acrylic Table of Contents page, where you can find heaps of useful info for painting with acrylics!